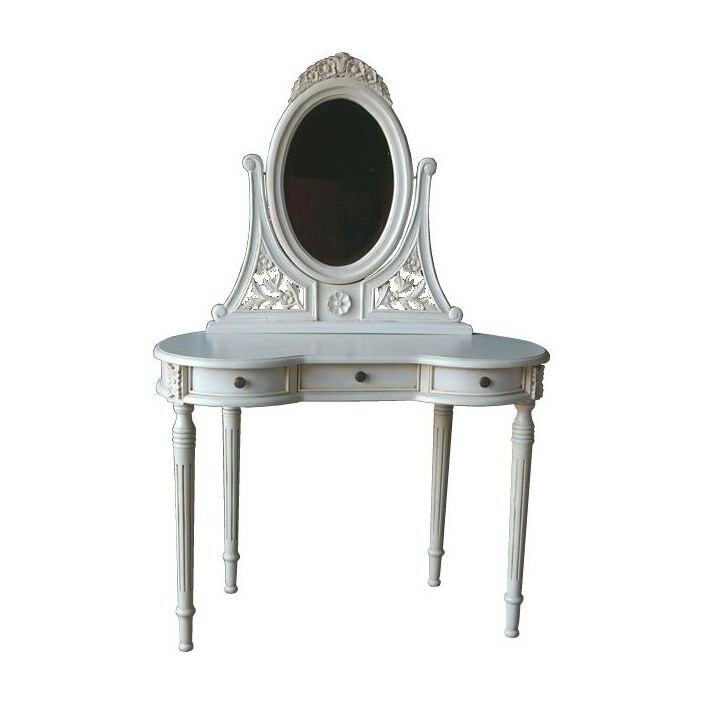 We proudly welcome for your consideration, a very special and rather dainty dressing table. Nice and compact, but exquisite in every way. It has an adjustable mirror, supported on hand carved filigree fixings, and has some very useful drawers underneath for all those odds and ends. This dressing table is a fantastic addition to our antique French furniture, working well either on its own or co-ordinated with our stunning shabby chic furniture. So add some exquisite beauty and style in your wonderful home today.